By writing this article, I am slightly delaying the next big discovery in gravitational wave astronomy. My computer would be — were I not using it — crunching numbers I don’t understand for research teams I’ve never met, and that’s brilliant. The 21st century’s next great gift to science: other people’s computers. Data in the 21st century is everywhere. Big science projects produce it at a prodigious rate, and the facilities themselves often cannot keep up. The Large Hadron Collider, the iconic particle accelerator at Swiss facility CERN, can alone generate upwards of 20 gigabytes of data a minute. In 2010, it generated 13 petabytes (13,000,000 gigabytes) of data. By 2017, this had risen to around 30 petabytes a year, an unfeasibly large amount of data for even CERN to handle. The solution? HiggsHunters. HiggsHunters is one of a growing number of citizen science projects aiming to solve the issue of data hyperinflation. In a simple web-based challenge, volunteers are asked to examine data from the Large Hadron Collider and identify patterns. Pattern recognition is a trivially simple skill for humans, but a computer with even close to human levels of pattern recognition remains deceptively elusive. The best attempts so far to reproduce this seemingly simple human talent in machines rely on so-called neural networks, routines whereby neuron ‘pathways’ within the machine fire upon recognising a pattern in a dataset. Based on a simple model of a human brain, these often cumbersome algorithms are prone to misbehaviour, and are frequently criticised as being too much of a black box: it isn’t easy to tell whether a trained neural network has really noticed the trend you wanted, or instead focussed on a meaningless, subtle bias in the training data. The best way around this problem is simple: more data. To train these algorithms, large, labelled datasets are key. This is where the citizen part comes into it. By getting volunteers to label datasets, large amounts of valid training data can be gathered, vastly improving the accuracy of the algorithms. Hosted on popular citizen science website, Zooniverse, HiggsHunters is one of many projects keen volunteers can get involved in. Other projects include Shakespeare’s World, which asks volunteers to transcribe Shakespeare’s handwriting. The brilliantly named project Chimp & See asks volunteers to help characterise chimpanzee behaviour in the wild. All manners of scientific discipline are represented in citizen science! A more passive attitude to citizen science can also be taken. BOINC is a program allowing users to donate their computer time to ongoing science projects. By taking advantage of the time computers are left idle to analyse data, it allows research teams to increase the computing power they have at their disposal. This style of citizen science takes almost the opposite approach to the more interactive style mentioned above. Whereas Zooniverse and its projects typically look to capitalise on human skills, these projects are looking for raw computing power. Projects such as Amicable Numbers are attempting to calculate pairs of numbers up to an arbitrary high point with certain characteristics – a skill at which computers excel. 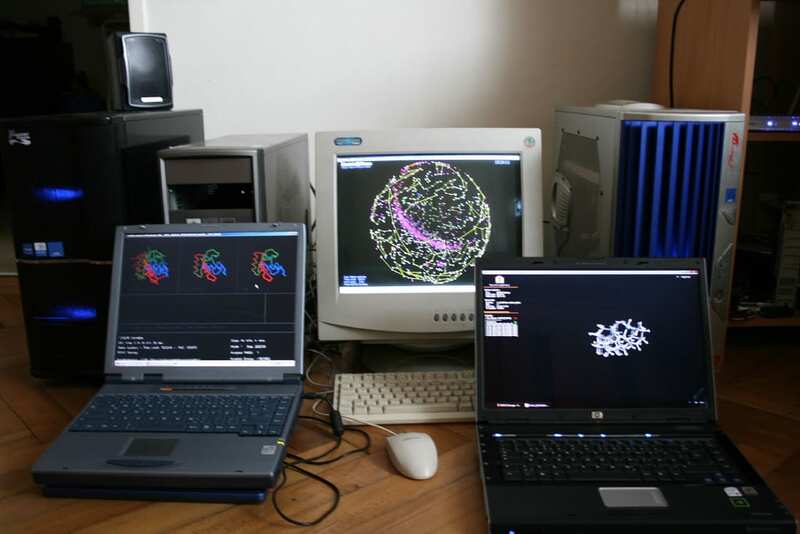 Other BOINC projects include RNA World, identifying and classifying RNA molecules, and [email protected], simulating a heart. [email protected] adds your computer to the, already ridiculously large, network of computers at CERN’s disposal. [email protected] looks for pulsars using radio, gamma-ray, and gravitational wave astronomical data. The discovery of the Higgs Boson won the 2013 Nobel Prize for physics, and the observation of gravitational waves won in 2017. One of 2019’s Nobel Prizes could yet be clinched by data processed by your computer. And that, again, is brilliant. Physics student at the University of Manchester. Science Fan. Follow me on twitter at @tobyjamez.